What Should I Look for in a Good Computer Science Degree Program? Software engineering is one of the fastest-growing industries in the economy, and if you’re fortunate enough to be able to enroll in the school of your choice, you should know what to look for in a computer science degree program. A standard computer science education covers all of the fundamental computing theory discovered over the last 100 years or so, and these concepts are universal to any Computer Science (CS) degree. You will learn about graph algorithms, function classes, time- and space-complexity analysis, computer architecture, discrete mathematics, continuous mathematics and perhaps a little about the history of computing. Any accredited program you enroll in will give you this basic foundation and prepare you for a career in software engineering or computer systems engineering. The difference between a standard CS degree and an exceptional one is the depth of understanding you get from attending a school where the students and faculty deeply care about the ideas being discussed. The schools that offer this level of enthusiasm have reputations for excellence in computer science, and a degree from a college like Stanford, Cal Tech, Berkeley or MIT will make you competitive for jobs at companies like Google, Apple and Microsoft. It’s not necessary to go to a prestigious, internationally recognized college to get a high-quality education, but if you have the luxury of being somewhat picky about your school, you should look at college rankings before enrolling. 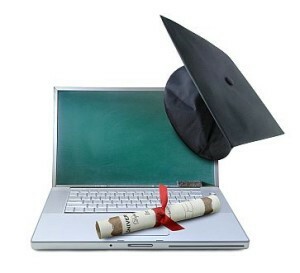 In general, enrolling in the best school that will accept you is ideal, and when it comes to a computer science degree, you will end up taking essentially the same courses at any college you attend. The difference between a high-ranking college and a medium- or low-ranking one is the level of competitiveness of the students and the importance of the research produced by the professors. There are good professors at all colleges, and computer science professors in particular care a lot about the subject they teach. Otherwise, they wouldn’t be able to finish one of the most difficult PhD programs in academia. CS programs mainly focus on computing theory and only cover the basics of software engineering until the student’s senior year. If you plan to go into research after college, you won’t need to take many software engineering classes as an undergraduate, and you can focus on advanced math and computing electives. If you want to be a developer, you should look for a program that covers as much software engineering as possible. The main purpose of computer science programs across the country is to produce software developers, so they all offer senior-level courses on software design and the software development life cycle. If you get to this level and stay enthusiastic during your senior year, you’ll be ready for a career as a developer. The class sizes at this level are much smaller than freshman and sophomore classes, so you will have plenty of opportunities to learn all about software development from your professors. Computer science is one of the youngest fields of science, and it’s currently one of the most important disciplines due to the increasing demand for software. If you’re interested in programming and quantitative analysis, you should enroll in the best computer science degree program you can find.